I made this necklace for my Mom for Mother's Day. 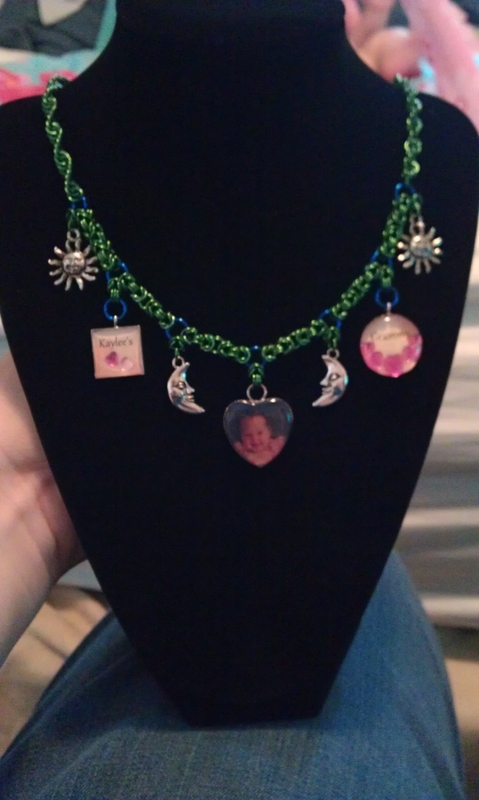 I made pendants with my daughter, her name and Grammy in them and I bought the suns and moons. It is a byzantine weave made from 20g 1/8" aluminium rings with 18g 3/16" connectors. I made my mother in-;aw one and my sister one with her two daughters but theirs were pink and purple.